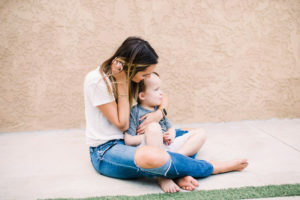 I don’t know if I can fully express the range of emotions I went through once I discovered my son had “special needs.” Specifically, it’s a rare genetic disorder that would be the reason for his global developmental delays. Our journey began after we took Jaxon in to get evaluated since, he had been behind on his milestones, he was 11 months old. The first step in this unknown realm required that my husband and I set aside our pride as parents, and realize that even with all of the love and attention in the world, our son needed more help than we could offer. This was the hardest thing to accept at first. For that, we needed help. There is no manual to special needs parenting, but by shifting our mindset and focusing on the needs of our child we were able to get him the help he needed. Despite getting Jaxon into therapy, the difficult emotions surrounding his condition were still present. While I had accepted that our son would learn differently, the feeling of inadequacy still lingered—especially when your child is not on the board like other kids & never will be. This feeling would soon turn to guilt and loneliness. Guilt that maybe “I” did something to cause this & loneliness because you feel like you’re the only one you know going through this. Even though Jaxon’s disorder happened spontaneously during his formation in the womb (something you can find out through a genetic test from the parents) guilt would find its way into my body at times. The turning point for us in our true acceptance of the hand we had been dealt was when I came across this quote that spoke to my soul. 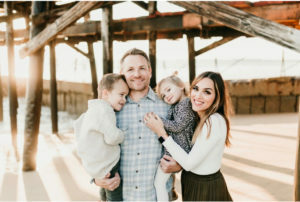 It read “motherhood is about raising and celebrating the child you have, not the child you thought you would have.” In that moment, my husband and I realized that THIS WAS NOT ABOUT US AS PARENTS or feeling inadequate. It was about our son Jaxon, and where he was at on his journey. It had to do with making sure that we used every resource available to us to give my son every opportunity to thrive in this world. It meant letting go of the shame that came with your child needing therapy and embracing the idea that being a parent meant doing things you never anticipated to help your kid. Since my husband and I made the shift to a place where we own who we are as parents and the hand we have been dealt, our experience of our son and our lives has completely changed. Jaxon has progressed immensely and we are so grateful to all of his therapists who are committed to his growth. He is one of the most joyful kids you’ll ever meet as is his younger sister Ryan. Their bond is truly beautiful. We wouldn’t trade our story or our lives for the world & have made peace with where we are. I share my story because I know, as parents, we always want to do what’s best for our kids. It is important to know that if your child needs any type of therapy that it isn’t something to fear or be embarrassed about. For many kids, it may just be a little nudge that gets them on track, for others, like Jaxon, it may be a lifelong Journey. Nonetheless, with the right resources, it will enrich their lives. It’s not about you at all, it’s about your child and getting the help that can make him/her thrive. Rachel Friend is a communication professor, mindset coach, and mother who is all about finding more joy in the journey. She does this through her mission of teaching others how to harness the power of perspective so they can get out of their own way, make peace with their past, and connect more deeply with others. As a special needs mom, Rachel has discovered another one of her passions, positive communication with her kids. 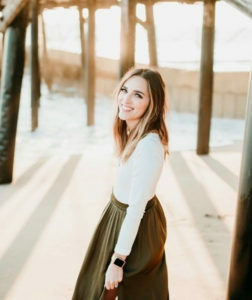 She enjoys sharing tips and techniques with other parents to encourage more bonding with their children through emotional intelligence and gentle parenting. Rachel’s End Game is to give you the tools you need to really connect more deeply with yourself and others because that is what brings more joy to the journey.